Concrobium Mould Control is great for eliminating odours and odour causing particles in carpets. If you suspect mould in your carpet, you should pull it back to see if mould is growing on the subfloor and under padding as well. Once you have access to the mould, apply Concrobium Mould Control as a thin, even layer over the affected surface and allow to dry. As it dries, the solution forms a film that crushes and kills the mould spores. As Concrobium does not have any bleach or whitening agents, you may have to take additional steps to improve the look of surface being treated if mould staining still remains. In any case, ensure that Concrobium is the last product applied to the surface to ensure the protective barrier remains intact to prevent from future mould. Try using a HEPA Vacuum to lift and remove any (dead) mould spores that may be embedded within the carpet fibers after successful treatment. 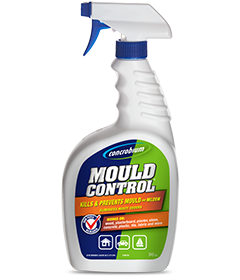 Concrobium Mould Control is an effective treatment for mould on virtually every type of household surface including wood, fabric, and upholstery. Just spray Concrobium on the affected mouldy surface and allow to dry. As it dries, the solution forms a film that crushes and kills the mould spores. Next, with a Concrobium dampened brush or cloth, wipe away the remaining mould residue, leaving behind a thin layer of the product to prevent from future mould growth. 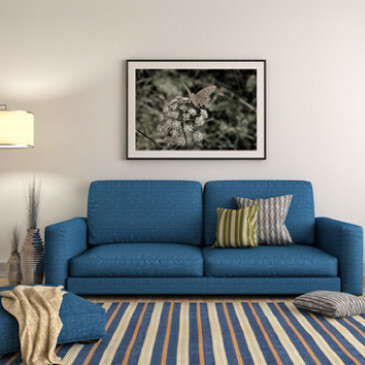 Any product residue remaining on the furniture or fabrics is non toxic, and completely safe for your family to be in contact with once it has dried. The solution is colourless and won’t affect appearance, but will resist mould growth by preventing mould spores from attaching to the surface. If you are concerned about impact on the appearance of your fabric, please start by testing in an inconspicuous section.